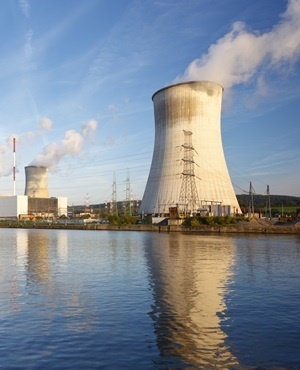 Over the last few years reports have surfaced of a range of African countries planning nuclear power plants. At the moment, the only nuclear plant in operation in Africa is South Africa’s Koeberg, producing 1.86GW of power. This, according to some African leaders, is about to change. Ugandan President Yoweri Museveni recently made the astonishing statement that his country is planning 30GW of nuclear power by 2026. That equates to 16 times the current total of nuclear energy on the entire African continent. Uganda is only one of a number of countries interested in nuclear power. Russia’s nuclear agency Rosatom has boasted that it’s concluded nuclear power memoranda of understanding with Egypt, Kenya, Nigeria, Sudan and Zambia. Uganda is also on the list. A deal struck with Bangladesh provides a useful benchmark against which to understand other deals that have been done with Russia. In the case of the 2.4GW Rooppur nuclear plant, Rosatom is providing most of a US$12.65 billion loan. This only covers the estimated construction costs. Interest accrual, possible cost overruns, operations and decommissioning are likely to amount to more than double of this initial outlay. That makes a total cost of roughly US$30 billion likely. Egypt’s earlier mentioned El Dabaa project has a similar funding arrangement. Here Rosatom has given a loan of US$25 billion, which again is projected to only cover construction. Zambia is eyeing a nuclear plant on the scale of Bangladesh’s Rooppur. The plant is expected to cost US$30 billion. Given Zambia’s total annual budget is US$7.2 billion this is clearly unaffordable. If one were to scale the Rooppur cost from 2.4GW to the 30GW nuclear power plants proposed by Museveni, the figure would be 15 times Uganda’s annual GDP of US$24 billion. * Hartmut Winkler is Professor of Physics at the University of Johannesburg.